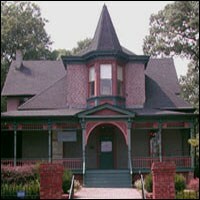 Hammonds House Museum and Resource Center of African American Art is a fine art museum housed in an Eastlake-style Victorian structure complete with spacious gardens. Believed to be built around 1865, Hammonds House Museum is one of the three oldest houses in the West End. It has many period architectural accents and 19th century antique furnishings that provide timeless character. Parking: Free parking is available. MARTA: Take MARTA to the West End Station. Out of the station walk north on W. Whitehall Street. Turn left at Ralph David Abernathy Boulevard and right at Peeples Street to reach the museum.